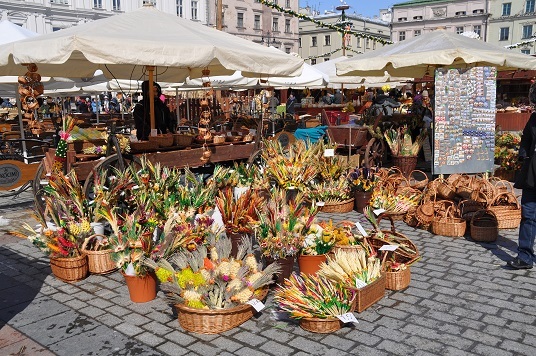 Folk artists, traders and charitable institutions present their fares at the Easter Fair, coming to the Main Market Square between 11 and 22 April. Visitors will be able to watch craftsmen make intricate Easter eggs, tablecloths, doilies, bobbin lace and traditional Easter Sunday palms. During the official opening of the fair on Saturday 14 April, we will see a performance by the “Krakowiacy” Song and Dance Ensemble; the next day the “Teatr Regionalny” Folklore Association presents Easter folk traditions, while on Holy Saturday we will see a grand presentation of regional Easter dishes and the blessing of traditional Easter baskets.